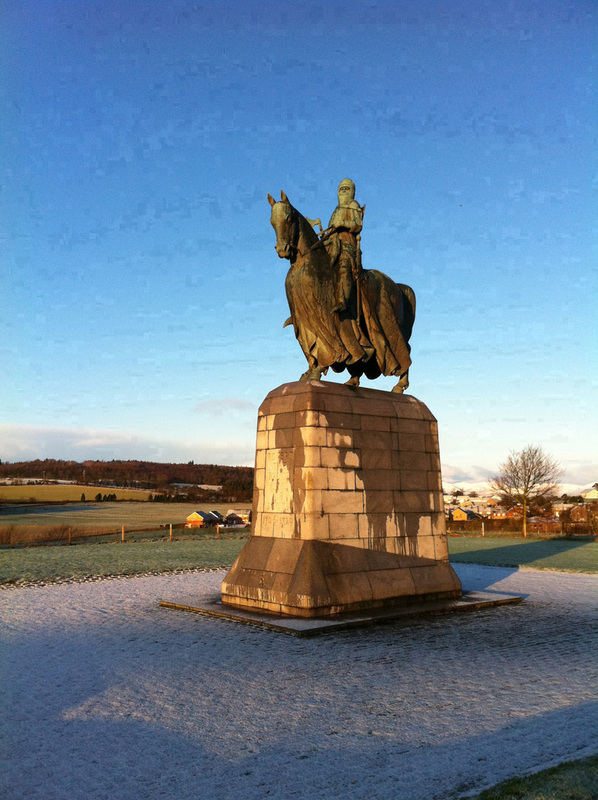 Bannockburn is the most iconic battle of Scottish history and was the key battle in the Scottish Wars of Independence. Fought over two days, the 23 and 24 of June 1314, the battle was a resounding victory for Robert I's army over a much larger force led by Edward II of England. The victory established Robert the Bruce as de facto King of Scots and ended any realistic claim of the Plantagenets to the Scottish throne, by both removing the last significant English garrison and the Bruce's Scottish enemies from the country. However, despite its iconic status, the precise location of the actual battlefield was unknown, with a variety of potential sites buried beneath and around the modern village of Bannockburn the subject of heated debate by different experts. Between 2011 and 2014, a new search for the site of the Battle of Bannockburn took place, spurred on by the 700th anniversary of the battle and the National Trust for Scotland's new state-of-the-art Bannockburn Battlefield Centre. Led by a team of archaeologists, historians and environmental experts drawn from the National Trust for Scotland, the Centre of Battlefield Archaeology at Glasgow University, Stirling Council, Stirling University, the Treasure Trove Unit and GUARD Archaeology Ltd, every available resource and technique was put to the test. LIDAR, aerial photography, map regression, documentary research, geophysical prospection, walk-over surveys, metal-detecting surveys, excavation trenching and systematic test-pitting was carried out with the support of metal detectorists from the Scottish Artefact Recovery Group and Detecting Scotland and the participation of over 1,314 enthusiastic local, national and international volunteers of all ages. Supported by BBC Scotland, the work culminated in a two-part BBC 2 documentary 'The Quest for Bannockburn', presented by Neil Oliver and Tony Pollard, which aired in June last year. As with any new development in an archaeologically sensitive area, archaeological investigations were undertaken across the footprint of the new Bannockburn Battlefield Centre prior to its construction. These did not uncover any evidence from the battlefield, but rather a number of Late Neolithic/Early Bronze Age fire pits, which brought home the enormity of the task, not simply trying to discern the archaeology from the intensively developed landscape of modern-day Bannockburn but discerning archaeology from one event 700 years ago from the archaeology accumulated over many thousands of years. The launch event for the Bannockburn 700 project took place on Monument Hill exactly 700 days ahead of the 700th Anniversary of the battle. The Clanranald Trust set up their medieval camp on site and demonstrated the production of bodkin arrowheads, a type common in the medieval period. The clothes, weaponry, sounds and smells gave a real sense of the medieval period and fired up the fifty local volunteers who came along to get involved in as many archaeological techniques - geophysics, excavation trenches, test pits and metal detecting - as possible. The work here established that the Roman Road, reputed to have led both the English and Scottish armies to this position, did not actually lead here. Instead it was surmised that the Roman road lay below the current main road which sweeps past this site on lower ground. The next site investigated was a sub-rectangular cropmark at Bolfornought, which lies on the Carse to the east of Stirling. This was targeted as a potential medieval structure near where the Bannock Burn feeds into the Forth, but the hope that this was contemporary with the battle was dashed when this feature was found by excavation and metal detecting to be of much later date. Cambuskenneth Abbey is a significant landmark that was in existence at the time of the battle and features in numerous records of the period. The Abbey is one of the few places specifically mentioned in near contemporary accounts of the battle. It was here that Robert the Bruce kept his army's baggage prior to the Battle of Bannockburn, though it is possible that this was also where supplies related to the on-going siege of Stirling Castle by the Scots were stored (it was to relieve the siege that Edward II brought his army to Bannockburn). The community investigations around the ruins of the Abbey, which include the bell tower, foundation walls and some upstanding walls, have been dated no earlier than the thirteenth century, involved geophysics, test-pitting and metal detecting led by GUARD Archaeologists. A trench close to the Abbey ruins revealed an assemblage more consistent with the medieval beginnings of Cambuskenneth Abbey. 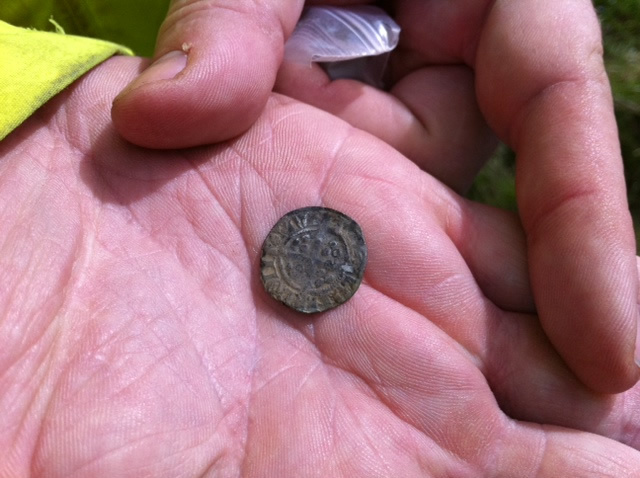 But a metal-detecting survey across the fields to the south and west of the Abbey recovered, amongst over 1,000 finds, a silver Edward I/II coin that was minted in London during the late thirteenth or early fourteenth century. This coin would have been in circulation at the time of the Battle of Bannockburn in 1314, and could derive from booty taken from the defeated English army. 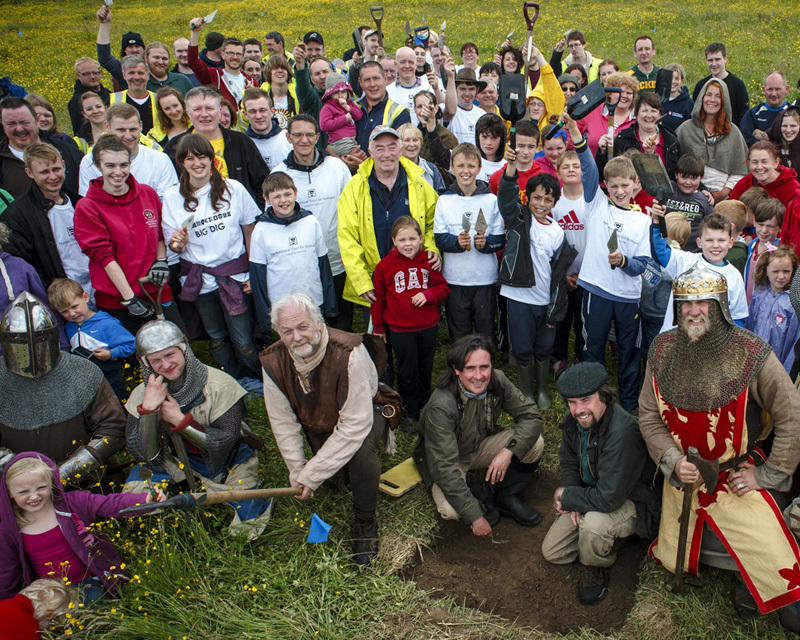 Exactly one year before the 700th Anniversary of the Battle, the Bannockburn Big Dig took place, across Braehead, Balquidderock Wood and Broomhill over 7 days. While the Clanranald Trust set up medieval camp again, 150 primary school pupils, 150 secondary pupils from Bannockburn High, 250 local volunteers and 25 metal detectorists from the Scottish Artefact Recovery Group and Detecting Scotland, set to work guided by GUARD Archaeologists. 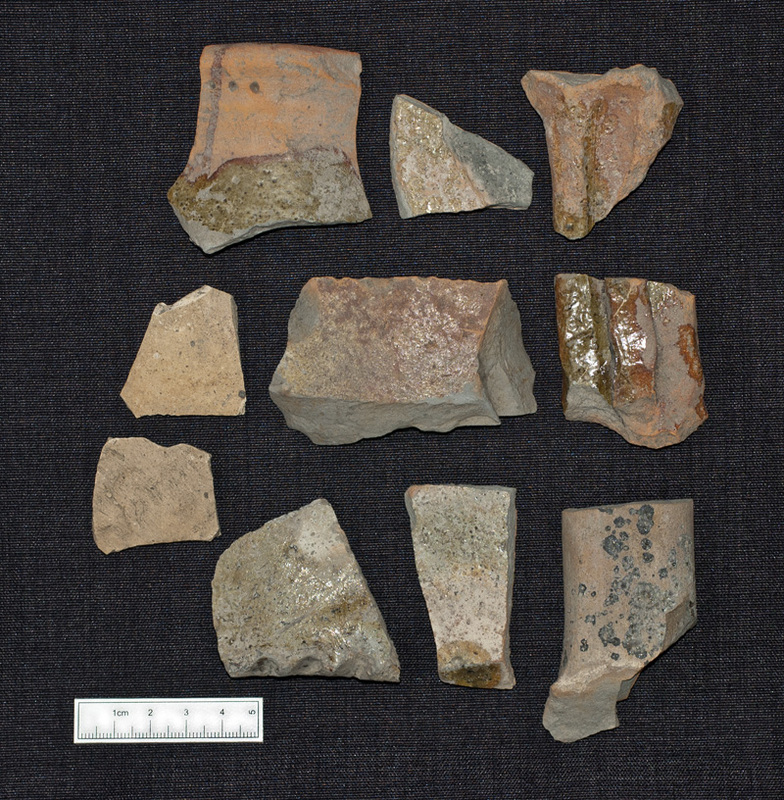 The findings included 133 metal artefacts, mostly iron and of eighteenth century, but recovered from amongst the 139 test pits excavated was an assemblage of medieval artefacts including white gritty ware and Scottish red ware, both types potentially contemporary to the battle, as well as considerable amounts of later medieval pottery. The evidence here, dispelled the myth that the Carse was an uninhabited bog during the middle ages, indicating instead that parts of the Carse were inhabited during the medieval period. The nature of these interspersed habitable areas across an unfamiliar and otherwise boggy landscape may have been a major factor in the outcome of the battle, given that the accounts that when the Scottish army surprised the English army early on the second day of the battle, the English forces were driven across the Carse towards the Forth, where flanked by the Pelstream to the north and the Bannock Burn to the south, they had nowhere to run. Cambusbarron, which lies 2 km west of Stirling, was the next focus of attention. Records noting that part of a chapel still stood here in the early fifteenth century suggests that it was established prior to this, with the tantalising possibility that the chapel could have been contemporary to the battle and may therefore have been a destination for the fallen or injured in the immediate aftermath. Guided by GUARD Archaeologists again, volunteers applied geophysics, metal detecting, test pits and excavation across a number of back gardens to recover an assemblage of white gritty ware pottery of twelfth-fourteenth century date and Scottish red ware pottery of fifteenth-sixteenth century date. However, no burials or chapel structure were uncovered. So while no direct link with the battle could be made, the project was nevertheless fleshing out the medieval archaeological landscape around Bannockburn. The Carse was revisited during the preparation of a Community Garden at Braehead, when 350 Primary School children got involved in metal detecting and test pit excavations under the guidance of GUARD Archaeologists, again recovering medieval pottery sherds indicating residual medieval occupation of the Carse. Many prehistoric standing stones across the country are often associated with battles in local folklore and Bannockburn is no exception. The pair of standing stones at Randolph's Field are traditionally attributed as marking the position of a skirmish between the English vanguard and Scottish schiltrons on the first day (23 June) of the battle. Following a geophysical survey by GUARD Archaeologists, excavations by local volunteers led by Stirling Council Archaeologist, Murray Cook, discovered that the stones were unsurprisingly of prehistoric origin. However, they represent another feature in the landscape that was present at the time of the battle and may have served as a landmark for the opposing forces. GUARD Archaeologists conducted another geophysical survey just south of Randolph's Field where it was thought the Roman Road passed. The geophysical anomalies were not conclusive but the subsequent excavations by local volunteers, led by Murray Cook of Stirling Council, confirmed the presence of the Roman Road in this location. This was a key feature in the landscape during the Battle of Bannockburn as it was the principal road to Stirling Castle from the south and revealed the route by which Edward II's army approached the battle, and where Robert the Bruce's soldiers opposed them. A survey at Redhall Farm involved test-pitting and metal detecting of 10 ha along the eastern banks of the Bannock Burn. 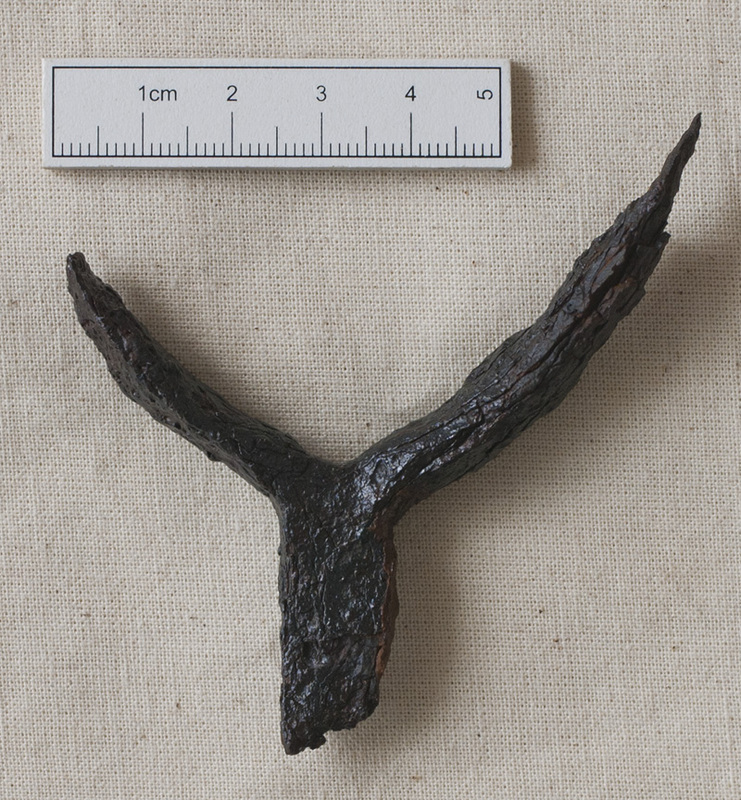 Among the hundreds of artefacts recovered was one spur fragment that turned out to be of medieval date. This was the first indication of medieval equestrian equipment found on any of our investigations to date. The test pits along the inner meanders of the Bannock Burn also turned up some sherds of medieval pottery, again evidence of medieval occupation of this landscape. Another metal detector survey at Carse Fields covered another 10 ha area and recovered a medieval stirrup. 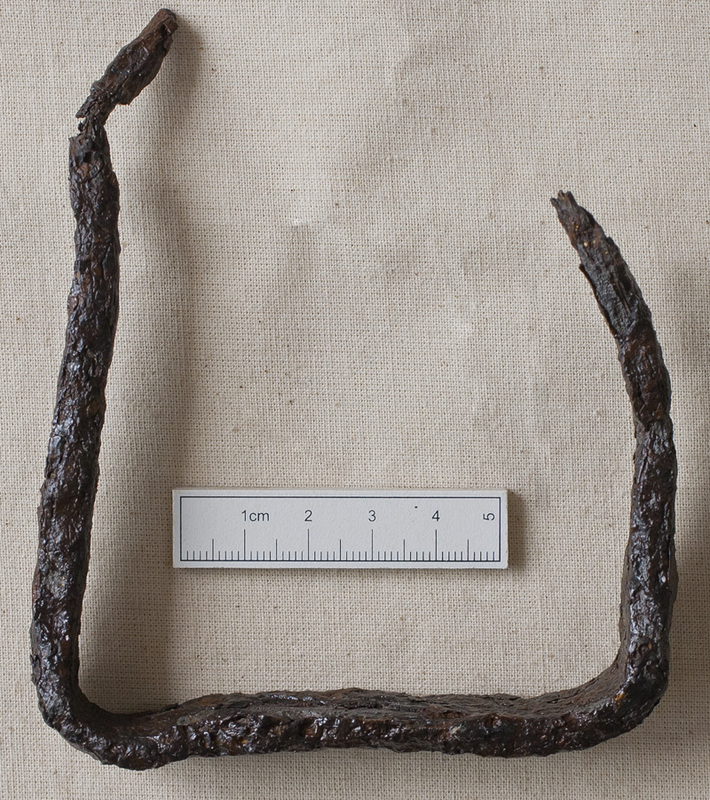 This was now the second artefact that could be potentially attributed to medieval cavalry. Broadley's Farm is spread over many fields along the courses of the Pelstream and Bannock Burn. The land therefore provided opportunities to investigate wide areas on the Carse as well as the inner meanders and river banks where it was hoped that artefacts from the battle might await discovery. The metal detecting survey of 30 ha of land and excavation of 50 test pits included the participation of the Defence Archaeology Group, British soldiers, who benefit from participation in volunteer events like this as part of a rehabilitation process. The test pits turned up more medieval pottery, further evidence that the Carse was habitable during the medieval period. 'In true dramatic archaeological style the battlefield kept us all waiting to the bitter end for the most treasured of artefacts', said Warren Bailie. With the help of GUARD Archaeology colleagues, Maureen Kilpatrick and Christine Rennie, and fifty local volunteers, a last ditch attempt to recover more evidence of the battle got under way on 15 February 2014. 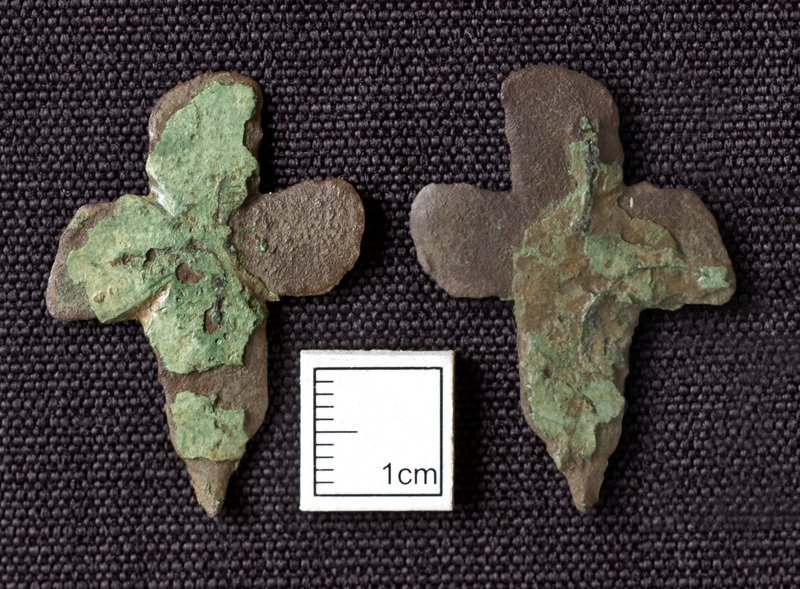 While lots of non-descript iron objects were discovered - a few horse shoes, recent coins, nineteenth century horse harness pendants - one of the volunteers found something a little more special, a copper alloy cross harness pendant which even then appeared significant. Analysed soon after by Dr Natasha Ferguson of the Treasure Trove Unit, traces of silver gilt and blue enamel were identified. XRF analysis later found traces of gold too. This cross pendant dated to the early fourteenth century and once adorned the horse harness of an English nobleman's horse. 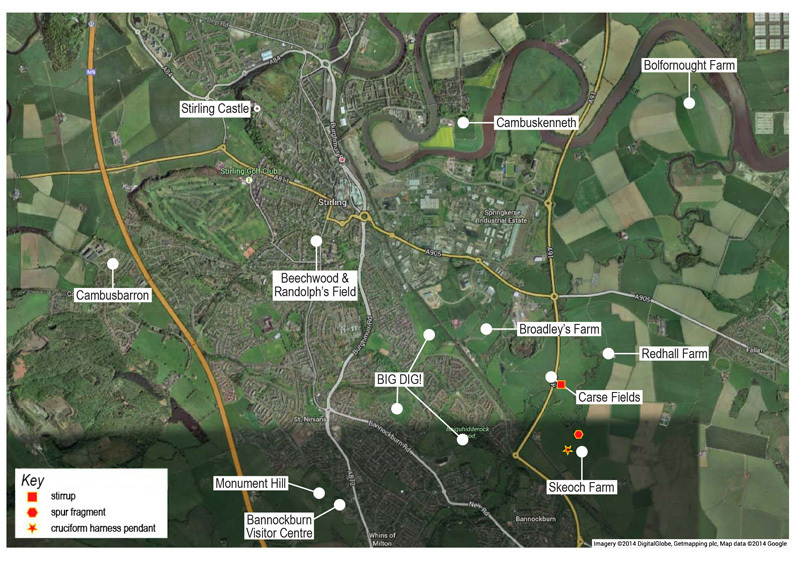 It's location here, on the Carse, understood in the context of the other findings of the project, provides the clearest archaeological evidence found so far for the location of the Battle of Bannockburn. The medieval material culture discovered during the Bannockburn investigations demonstrates that the Carse was settled in the medieval period when for so long many dismissed the area as an inhospitable and boggy environment during that period. The new key equestrian artefacts - the spur, stirrup and cross pendant - substantiate that the second day of the Battle of Bannockburn took place on this area of the Carse. 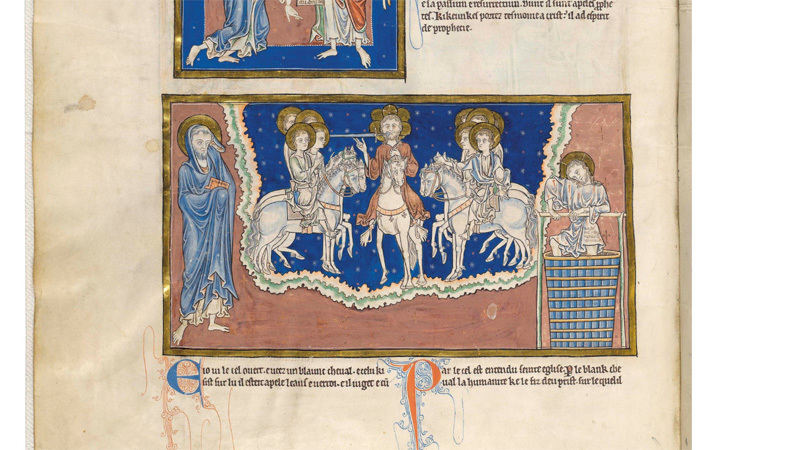 Image from a thirteenth century manuscript, the Trinity Apocalypse, showing cross pendants on the horse harness of the central figure. © Master and Fellows of Trinity College, Cambridge. Licensed under Creative Commons Attribution-Non Commercial 4.0 International Public License.